Spaghetti squash is one of my favorite fall vegetables to use as a side veggie or main dish since it can be used as a faux pasta. It's packed with flavor and since we have about a month left of Fall, it is still "Farmer's Market Fresh (#FMF)!" Stay tuned this week for 3 of our favorite spaghetti squash recipes! 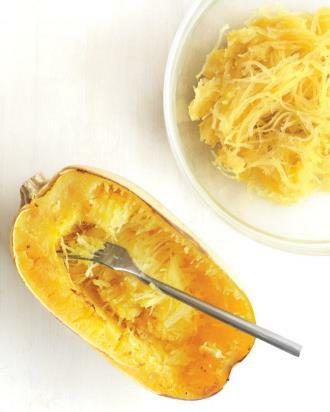 Here's a quick spaghetti squash 101 to get you started on the right foot . . .
Keep us in the loop with YOUR seasonal ingredients, recipes or anything you find "Farmer's Market Fresh!" Hash-tag your social media pics with #FMF! Like other hard-shelled winter squash, spaghetti squash is harvested in the early fall. The squash keeps for months in cool storage, so it is available in markets throughout the winter and spring. 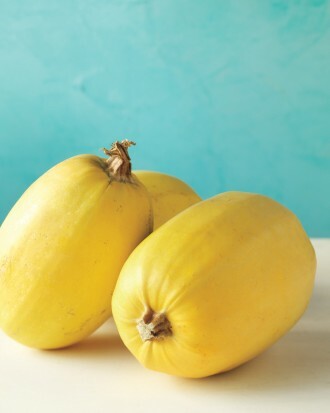 Mature spaghetti squash is oblong in shape with a creamy-yellow shell. Choose firm squash that's free of soft spots and feels heavy for its size. Uncut spaghetti squash keeps well in a cool, dry place for up to a month. MINERALS: Potassium, calcium, phosphorus, magnesium and sodium. Preheat oven to 400 degrees. Brush cut sides of squash with oil and salt and pepper to taste. Place squash, cut sides down, on a rimmed baking sheet. Roast until tender, about 45 minutes. Let cool slightly on sheet on a wire rack, about 10 minutes. Spaghetti Squash has noodle-like strands that are an ideal alternative to spaghetti noodles (which have about five times the calories).